Even though the surrounding North Norwegian marine environment is relatively healthy, it suffers from human’s destructive footprint, just like in the tropics where Zing started. Fast growing cities, oil and gas exploration, and one of the biggest commercial fishing industries make a big impact. Instead of working against these industries, we believe in working together. We’re all in the same boat, and we believe working together is the only way to secure good environmental health. We believed in the good in people, businesses and organizations, and their willingness to work together for the unselfish cause. And boy, have we proven it to be true! Every month, we go out on ocean clean-up expeditions, often as a celebration of a new partnership. Voluntarily, everyone does his or her part in helping the ocean out. From the distance, it looks like the shorelines are in tip-top shape. But then you step foot on the beautiful islands facing the Norwegian Sea. You’re met by the view of thousands of tons of plastic. 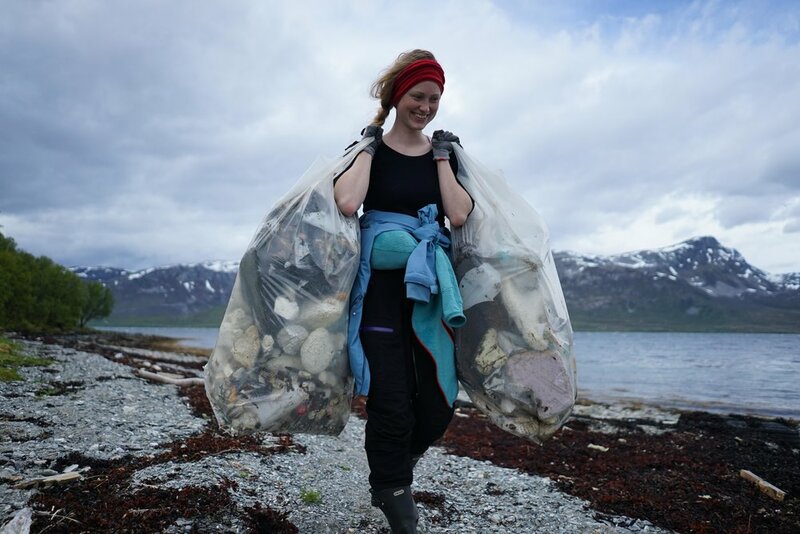 Typically, we clean up around a metric tonne of plastic marine debris in just a few hours, before we head back to warm, welcoming Tromsø Island to send the trash safely away to a trash management plant.